Food safety activists and environmentalists are concerned over the potential risks from a new US brand of genetically-modified salmon, which has just hit Canadian shelves. Some believe Canadians are being used as guinea pigs for potentially harmful technology. After trying for two decades, AquaBounty Technologies’ GM salmon was finally approved for sale in Canada in 2016, which led to the most recent developments. The company’s GM salmon can grow twice as large as conventionally-farmed Atlantic salmon, according to the Guardian. The accelerated growth means the fish will reach adult size in 18 months rather than the typical 30 months. This process is established by modifying the firm’s Atlantic salmon with a growth hormone gene taken from Chinook salmon. The company also claims that their salmon consume 20 to 25 percent less food per gram of new flesh. "The sale and discussions with potential buyers clearly demonstrate that customers want our fish, and we look forward to increasing our production capacity to meet demand," Ronald Stotish, chief executive of AquaBounty, said in a statement last Friday. Despite the company’s positive outlook for buyers, a large backlash has been ignited by several groups and organizations who disagree with the idea of selling GM food. IGA and Costco supermarkets posted on their websites that they do not intend to sell the salmon. Environmentalist groups are outraged by the new product. The Montreal-based organization GMO Vigilance has stated on their website that the sale of the salmon in Canada makes Canadians “guinea pigs,” and they believe that the government should introduce legislation that requires GM foods to be labeled appropriately. "It's a world first … The first genetically modified animal is on the market, and consumers in Quebec and Canada will become the first guinea-pigs unknowingly. 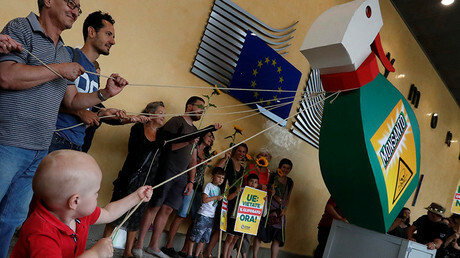 In the absence of mandatory labeling we still cannot make an informed choice,” Thibault Rehn, a coordinator at GMO Vigilance, said, according to CNBC. Lucy Sharratt of Canadian Biotechnology Action Network said, “The company did not disclose where the GM salmon fillets were sold or for what purpose, and we’re shocked to discover that they’ve entered the market at this time,” the Guardian reported. A 2015 case brought by environmentalist groups against the Canadian government over its approval of the GM salmon stated, among other charges, that there is a risk of the GM salmon mixing with wild fish. “We think the measures to avoid mixing with the wild Atlantic salmon are inadequate and once there is genetic contamination the wild salmon is forever changed. It would be a huge live experiment and we wouldn’t know the consequences,” Mark Butler, a campaigner at Ecology Action Centre, one of the organizations that brought the case, said, according to the Guardian. But AquaBounty claims that their fish are sterile and are only being raised in landlocked tanks. The current supply of GM salmon that was sold in Canada are said to have come from tanks in Panama, but the company is looking to expand the raising operations to Prince Edward Island, located on Canada’s east coast, the Guardian reported. Canadian regulators say that there were four years of testing that showed no negative nutritional information and has acknowledged it to be as safe as convention Atlantic salmon. Regulators then came to the conclusion that no special labeling would be required to sell the salmon. In 2015, the US Food and Drug Administration approved the GM salmon, but issued a ban on the import and sale of it two months later, stating that clear labeling guidelines needed to be established before they could move forward with the product. 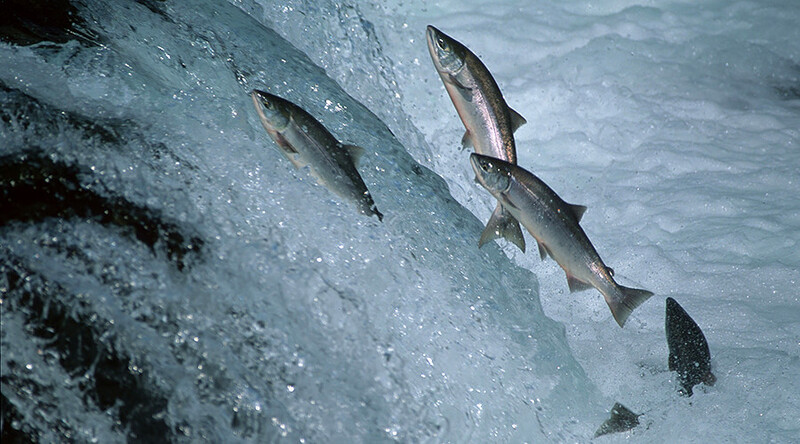 Work and research on the GM salmon was initially started in 1982 by a group of Canadian scientists.